There is very little support around for Queensland Premier Campbell Newman’s latest legal moves, which critics say are designed to spare his government the embarrassment hitting the LNP in New South Wales. The Queensland Government enacted changes last week to remove the need for bipartisan support on the appointment of the CMC chairman, which the Premier says would somehow reduce the risk of political tampering. The amendments also raised the threshold for defining which matters fall within the realm of “official misconduct”, which may mean the CMC does not deal with behaviours currently considered to be corrupt. The CMC has also been renamed the Crime and Corruption Commission (CCC). The recent changes come alongside the “Electoral Reform Amendment Bill”, which seeks to remove caps on political donations. The Bill will also substantially increase the threshold before a donation must be publicly disclosed, moving it up to $12,400. Combined, all three of these moves will allow the Queensland Government to operate in heavier secrecy, for more money from unknown sources and in a way that would not previously have been tolerated, critics say. Doug Drummond QC, a special prosecutor behind the convictions of dozens of political figures after the 1989 Fitzgerald Inquiry and later a CMC commissioner, says the door to corrupt behaviour has been flung enthusiastically wide. “It's quite obviously not intended to encourage corruption, but it's equally clearly intended not to impede the Government in its many activities, including its fund-raising activities,” Mr Drummond told the ABC this week. He said it creates “the real risk of money, moneyed interests acquiring benefits which they shouldn't legitimately acquire” in Queensland. The Queensland Government has even moved to extend the term of the LNP-appointed acting CCC chairman Ken Levy, who is under police investigation for allegedly lying to State Parliament. “What the Dr Levy episode suggests to me is here we have a government that will behave with complete ruthlessness when its perceived interests are at stake or challenged,” Mr Drummond said. 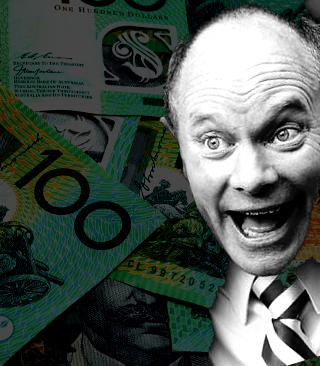 Former Queensland corruption fighter Tony Fitzgerald has unleashed on the changes too. “This debacle will adversely affect Queenslanders and ultimately end in tears for the Government, which has staked our future and its future on the whims of a few inexperienced, arrogant fools who seem unaware of the extent of their own ignorance,” Mr Fitzgerald wrote in an email to Australian media outlets. Queensland Opposition Leader Annastacia Palaszczuk says it is a simple erosion of power by those who seek to exploit more of it. “I now hold grave concerns for the future of our corruption watchdog in Queensland,” she said recently. “This is watering down our CMC [now the CCC] - we demand that the chair of the CMC must have the bipartisan support. “This LNP Government is trying to control everything it can get its hands on,” Ms Palaszczuk said.